Popularity isn't necessarily a measure of quality - and while we've all heard of Mistborn or The Dresden Files, it's worth giving some lesser-knowns a try as well. And hopefully, this list should show you a few of them - and maybe persuade you to give them a try. As always, this - is - subjective! While you might not like orphaned farmboys meeting mysterious mentors and learning how to make cheeses into tentac- okay, I don't like that one either, but you see my point. Here we go - my first two picks. 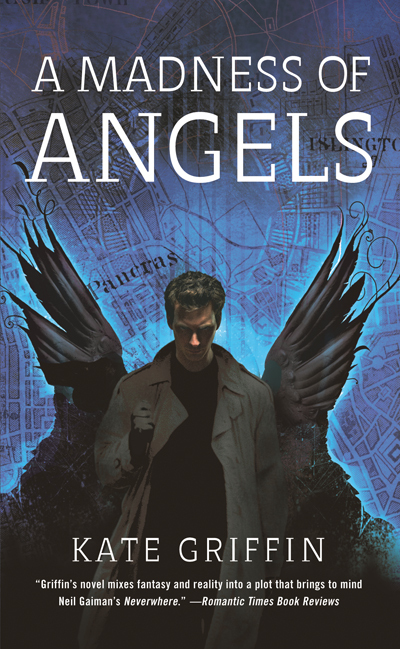 A Madness of Angels is urban fantasy at its best: bringing the everyday into fantastical (and occasionally frightening) life. In this case? London. And it's got one of the most drawing hooks of any book I've read: Maathew Swift wakes up in a London he doesn't know - and his eyes have changed colour, he's slipping into plurals, and there's a shadow out for his blood. And if that doesn't catch your interest... You're not me. (Assuming you were, which is a pretty big assumption and would involve some pretty unpleasant organ splicing). Anyway, it's both high-magic and no-deus-ex-machina: a winning combination, and one that brings London into UF in a vivid and fantastical, Gaiman-esque way. Like: Cookies and... Okay, more like a Faustian Pratchett/Hold combo for the first novel, but defies description after that. I like the word eclectic. That said, no series can be described more thoroughly by that than Johannes Cabal. So I'll say it: it's eclectic. Cabal starts out as comic fantasy - Johannes Cabal made a Faustian deal for necromancy. But it's getting annoying, and he wants his soul back - so he's made a wager with a very bored Satan. To procure souls using a... Carnival. And Cabal? He's not good with fun. And the second novel takes us into steampunk and detectives. As for the third? Haven't read it, but I expect it to add even more to the mix. 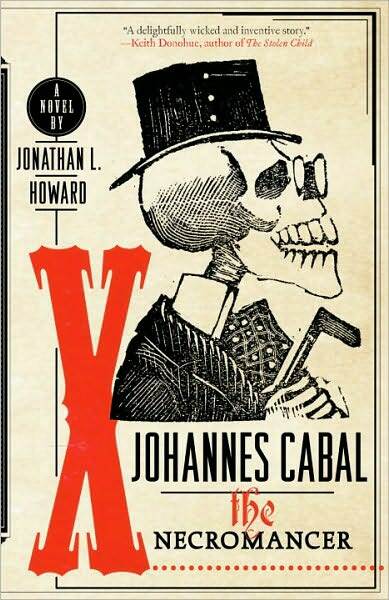 Rarely does fantasy see a protagonist as good as Johannes Cabal - or as bad. Cabal is occasionally (well, very frequently) amoral, but he's engaging, inadvertently humourous, and tragic as well. Odd combination? Maybe. But it works - and well. It's amusing, engaging, and at times thrilling. Read it. So, what about yours? have you read these books, or have some under-read picks of your own? Comment and tell me below! Thanks for the great recommendations. Both series look awesome! I think my best under-read novel would be Desdaemona by Ben Macallan. I don't remember why I originally picked it up, but the story ended up exceeding my expectations. Thanks - that does sound a pretty good read, in fact, and as you can guess, I'm always looking out for new urban fantasy (which is rather under-represented in my tastes). Nice recommendation. For me, the Cabal book started very well but faded somewhat at the end, just didn't gel together as well as it should have - but still worth reading. Not sure if it's still under-read, but I'm a big fan of Mike Carey's Felix Castor novels, everyone I've forced book 1 onto has loved it and bought more. One that should be read more is Hunter's Moon by David Devereux - supernatural action-thriller with a nasty edge, and for the epic stuff - try Adrian Tchaikovsky's series if you want a different take on epic fantasy. The first one? I felt similarly, but the second and third more than made up for it: Cabal's actually far better as a character when placed into a non rampant comic situation, in my opinion! The third is particularly good - Cabal, cold-blooded proponent of the scientific method, goes into the Dreamland (which are, as the name suggests, precisely the opposite). Glad to hear the next ones are better - it was certainly good enough to keep on with the series and I of all people can hardly condemn people for not having written the perfect first novel! Castor's great, certainly worth trying. You might be right that Tchaikovsky isn't so under-read, I was just reminded of it by you farmboy point. @ Hannah: Well, known fantasy is usually popular for a reason as well. :) I love Sanderson's novels, for instance, as well as Erikson's and many others. @ Tom Lloyd: Well, I'd highly recommend them (in fact, I'm hoping to get my review of the third up later). As for The Stormcaller, I really enjoyed it (as can probably be guessed from my review) - particularly the subversion of prophecy, which I love to see treated less like an immutable future. I'll order me some Castor from the library, then. Thanks for the rec. Tchaikovsky is -definitely- a change from 'farmboy comes of age' fantasy, you're right. Talking of subversions of tropes, though, have you read Steven Erikson (kind of a polarising series, but definitely fits in a lot of subversion of the typical fantasyland pantheons)? Ooh, look forward to it. I haven't read Lions of Al Rassan for a while, but Kay's writing is beautiful. Tigana is my personal favourite - manages to work the typical band of heroes v tyrant round to something a lot greyer and ambiguous, and a lot more tragic. I'd be interested to know what you think of 'Lions' when you've read it, though - Kay's also a little polarising (I've seen a lot of 'overly descriptive's bandied around). Will give Tigana a try before Lions then, seems to be a favourite for lots of people and it's actually available I think! Yep, I've read up to The Ragged Man, and very much enjoyed the series this far! Same with Erikson: though he's got his flaws, I absolutely adore his books (and Memories of Ice in particular gets me every time). His Bauchelain and Korbal Broach novellas are still pretty good - what did you think of them? 'Mancy Reese isn't much of a protagonist, for me. The Kharkhanas trilogy isn't quite as interesting for me as the Toblakai - I'm more interested in ICE's new Darujhistan novel (Orb, Sceptre, Throne), though possibly because I am way too fond of Torvald Nom as a character! I actually enjoy the shorter works, I know some people have a problem with it but a small chunk of Erikson's dark humour without investing the time to read a thousand pages is certainly a plus for me. As for Mancy, he's not the greatest protagonist, but he does serve as a good prism to see the necromancers through. No, I like them - though not quite as much as the main series, I'll admit. Though Erikson's humour is a nice touch, a lot of what grabs me with Erikson is the scope. Finding those little clues, the scale of his worldbuilding, and just how everything ties together in the inevitable 'convergence' (a much loved word! ).